Published April 25, 2015 at 4785 × 3190 in Space Station on a Starry Night! Starry Night Sky with Constellation Orion (middle) and Bright Planet Venus (upper right). 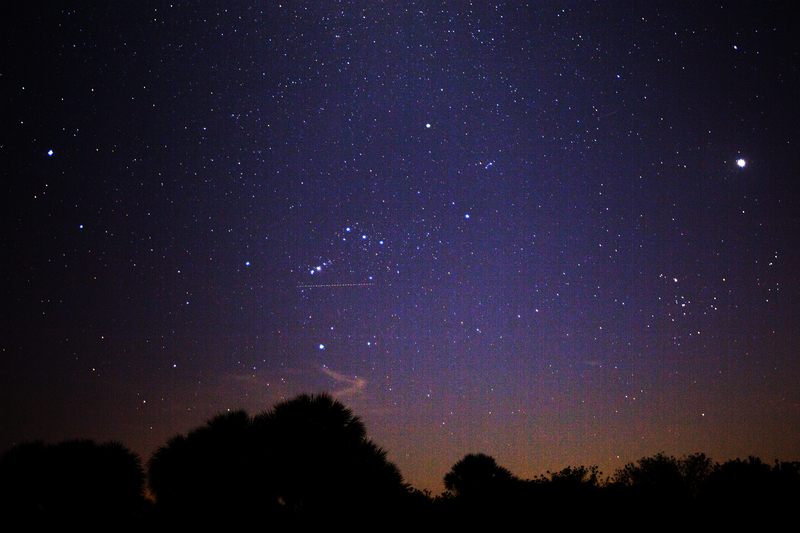 An airplane trail tracks by Orion’s “belt”. Winegar Backyard, Palm Bay, Florida.